Gift Registry Cloudlet App allows you to add your very own gift registry to your Cloudlet – without a third party subscription or app - no additional fees, cost or service charges. Unlimited quota of gifts or gift requests. An app for every occassion! Mojo-tastic ain't it! Gift Registry Cloudlet App allows you to add your very own gift registry to your Cloudlet. Think of all the money you’ll save without used 3rd Party Services - get payments direct to your account! Simply click on "Gift Registry" once the Cloudlet App is enabled, and start adding by clicking "Add Items". Preset your PayPal account, and that's it! 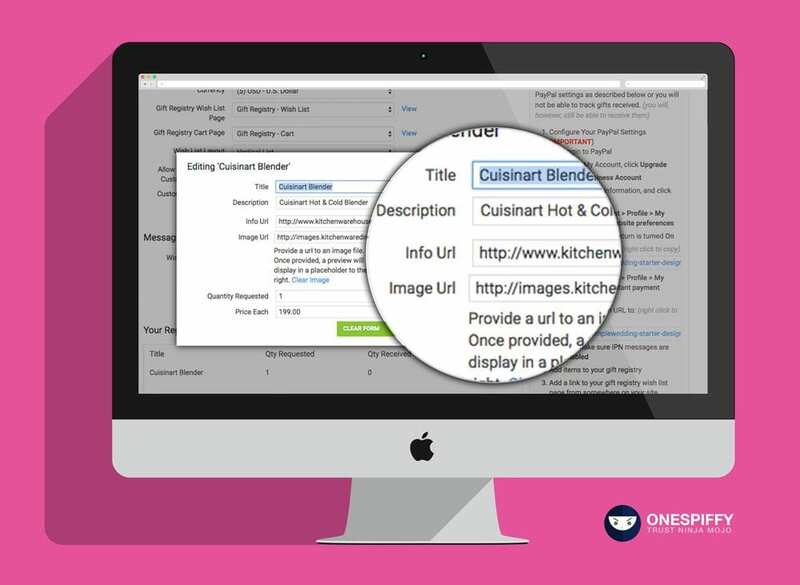 Spread your Cloudlet URL / Custom Domain to your guests for them to review your Gift Registry Wish-list. 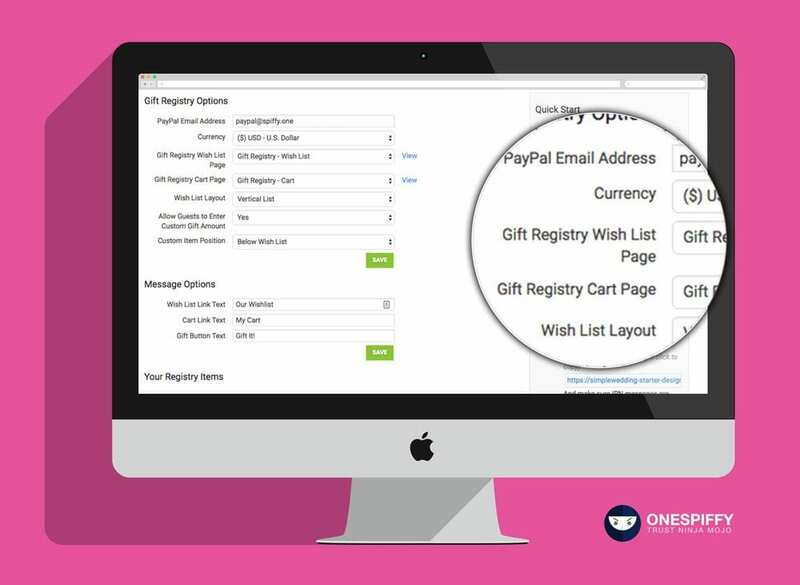 Receive email alerts and a custom dashboard for you to manage Gift Receipts. Gift Registry Cloudlet App is ready to go out of the box. No setup fee's, no scripts or code, no 3rd Party Fee's. You will receive payments from your guests directly. 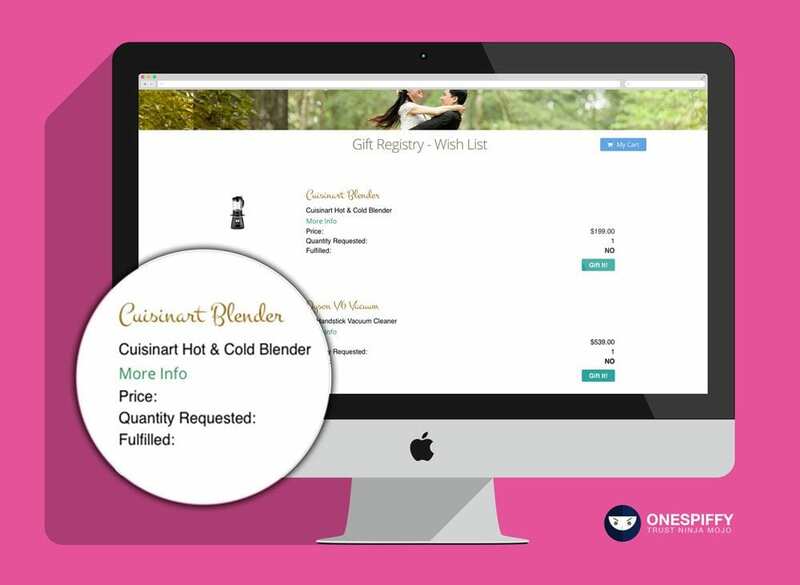 We have created a responsive and mobile friendly front-end for your registry as well! 100% No Additional Fee's or Charges!